In an ongoing effort to keep K-State’s systems and services safe, malware filtering has been activated for K-State’s email. The filter protects the mail system and individual mailboxes from malicious software by blocking attachments that are commonly used to transmit viruses or malicious software. 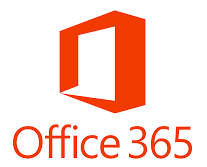 Office 365 email-retention settings will be activated on the evening of Friday, June 29. Any messages in Deleted Items folder or Junk Email folder over 30 days will be removed. Move any messages you would like to retain into other folders or the Archive folder before the evening of Friday, June 29. Items will be automatically removed from your Deleted Items folder after 30 days. You can recover those removed items for up to 14 days after their removal. See the Knowledge Base article on restoring deleted items. Items will be automatically removed from your Junk Email folder after 30 days. Contact the IT Help Desk, 785-532-7722, if you need help with your email. The retention settings govern the automatic management of emails that have been moved to the Deleted Items folder and Junk Email folder. If you have questions about the retention policy, contact Greg Dressman, director of Enterprise Server Technologies, dressman@k-state.edu. Office 365 email-retention settings will be activated on the evening of Friday, June 29. These retention settings govern the automatic management of emails that have been moved to the Deleted Items folder and Junk Email folder. If you have questions about the retention policy, contact Greg Dressman, director of Enterprise Server Technologies, dressman@k-state.edu. To help combat spam, malware, and phishing attacks, Microsoft has implemented a feature called Email Safety Tips. Red – Suspicious safety level messages are either a known phishing message, have failed sender authentication, are a suspected spoofing message or have met some other criteria that Microsoft has flagged as fraudulent. Be cautious in reviewing the message. There is a chance that it could be a legitimate email and mismarked. Otherwise delete the email. Yellow – Unknown safety level messages are marked as spam. You can click the It’s not spam link in the yellow bar of a junk mail item to move the message to your inbox. Green – Trusted safety level messages are from domains identified by Microsoft as being safe. 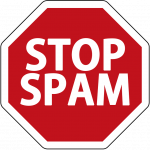 Gray – Safe safety level messages are messages not filtered for spam because it is either considered Safe by the user’s organization, is on the user’s safe senders list or Microsoft marked the message as junk but the user moved it out of the junk folder to the inbox. The gray safety bar also appears when images within the message have been disabled. You will see all four types of Safety Tips when using Outlook on the web. However, Outlook clients will only show the Suspicious saftey tip. 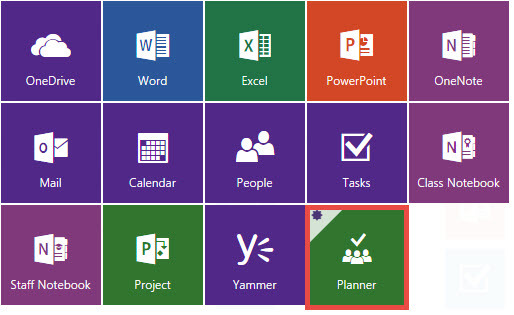 Office 365 Planner, a project management tool, is being released to K-State as part of Office 365 this weekend. Look for it in your App Launcher over the next few days. Lisa Crawford-Craft, Kansas State Polytechnic Library, will present Sharing, organizing, and syncing files with OneDrive, 3 p.m. Wednesday, Mar. 2, via Zoom. Join the session at ksu.zoom.us/j/738417925 a few minutes early so you don’t miss any of the discussion. Visit the Tech Tips Live! website for information about the series and to view videos of previous sessions.